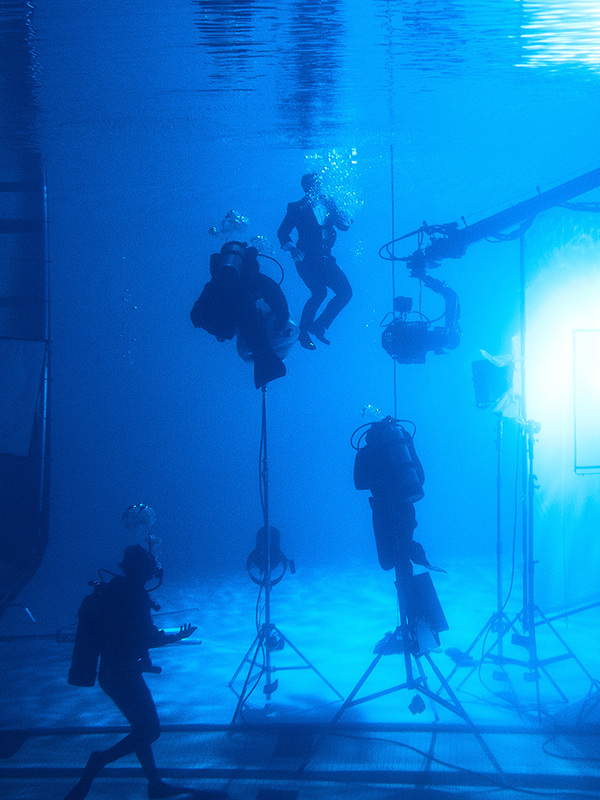 Though the making of OMEGA's Diver 300M campaign involved getting thoroughly wet on set, Daniel Craig and his stylist for the shoot, Gareth Scourfield approached the task with professionalism and good humour. For stylist Gareth Scourfield the clothes were the biggest challenge. 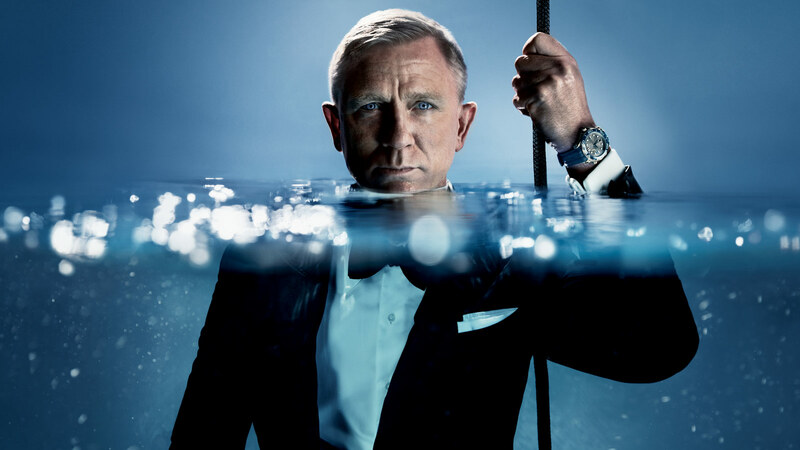 The Seamaster may be water resistant, but Daniel Craig's elegant dinner suit was hardly typical swimwear. What's more, a stylist rarely has to consider diving into a pool to fix a loose button on a waistband. As Daniel Craig was very adamant that the watch be visible at all times, it was also important to make sure the cuffs were always at the right length, which is not the easiest task when the suit is soaked-through for 12 hours. Despite the challenges, the shoot yielded impressive results. The final images, all black-tie sophisticated but with a sense of fun, captured the essence of OMEGA's new Seamaster Diver 300M, which blends serious divers' tech with a dressy elegant style. And OMEGA couldn't have asked for a more fitting gentleman to model the new Diver. Stylist Gareth Scourfield describes Daniel Craig as a private man with a classic style, who focuses on the cut and fit of fabric, as opposed to attempting a showy look. Anyone observing the campaign images would surely agree, as even a soaking wet tuxedo can't dampen Daniel Craig's integrity and style. 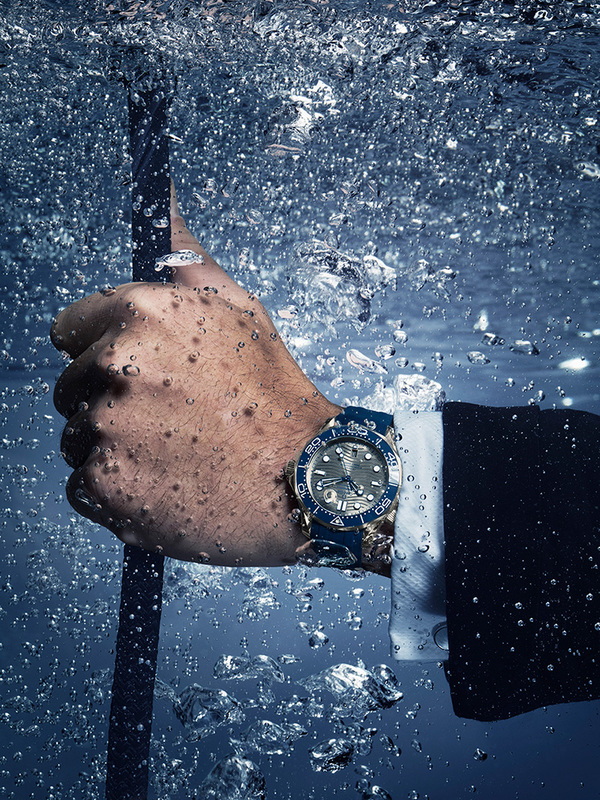 The Seamaster may be water resistant to 300m, but with Daniel Craig underwater for so long, what issues did you face when styling the clothes? The clothes were quite a big challenge. There was one moment where I spotted on the monitor that a button had come undone near the waistband. If Daniel couldn't fix it with just one hand, I would have had to jump in the water and fix it. He said: ‘I think I've got this’ and, while hanging onto the rope with the wrist that had the watch on it, he managed to do the button up with the other hand. Daniel was also very conscious that the watch was showcased at all times, and we had to make sure that the cuffs were at the right length. The suits ended up drying amazingly well; I took them to a dry cleaners in London and apart from a couple of hems that puckered you wouldn't have even known that they had been in a pool for 12 hours. OMEGA now keeps them in its museum in Switzerland. How does Daniel Craig's personal style compare to that of James Bond? Daniel is very much his own man, and having worked with him for a little while, I have seen that he absolutely has an influence on the wardrobe and what he wears for James Bond, and that's grown with every film he's done. He will look at fabrics quite closely and it's got to be comfortable because he's often in and out of photo shoots and interviews or travelling. He also really likes to adapt his wardrobe. Some of my clients like everything to be quite prescriptive within a look, and while Daniel will work within that to a certain degree, he will suggest taking a jacket and putting it with a different pair of trousers, for example, or wearing a jumper across three different looks. He's quite a private man, so I don't think his clothes have to be particularly showy. He's very classic and it's all about the cut and fit of the fabric for him; he's got to put it on and it's got to feel right. I think as a by-product of what he wears and does in Bond, you wouldn't really get Daniel going onto any sort of editorial shoot and being pinned into something. He really wanted things to fit him well, because that's the way clothes should be worn.